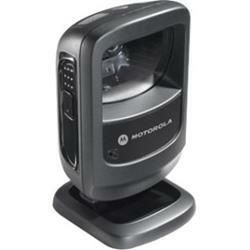 Whether you need to scan printed bar codes on paper labels or mobile bar codes on the screen of a mobile phone, with the Motorola DS9208, you'll be ready. You get the versatility to scan any 1D or 2D bar code - from the printed labels in retail that identify product and pricing at the register to mobile coupons, mobile gift and loyalty cards, boarding passes and even theater tickets. And the DS9208 provides all the features you need to keep your workers productive: industry-leading scanning speed; true point-and-shoot scanning simplicity - no need to align bar code and scanner; and hands-free and handheld flexibility.